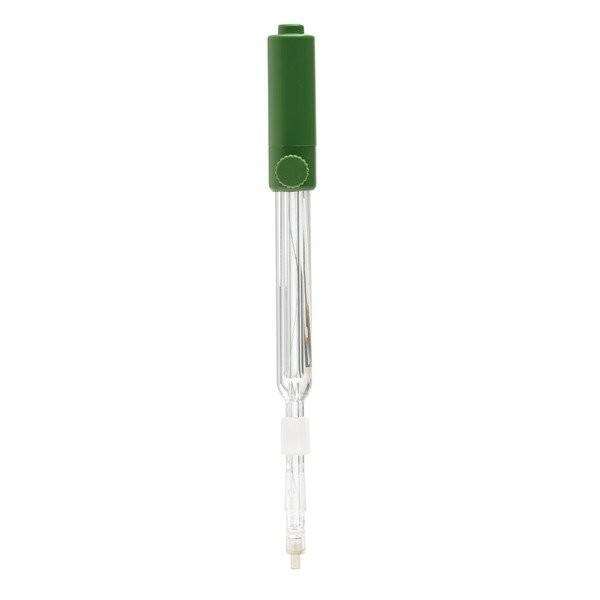 Product information "HI5148B Silver Billet Combination Electrode for Halide Titrations"
Description: HI5148B is a combination silver billet electrode used in the potentiometric titration of halides including chloride, bromide and iodide by detecting excess silver from a silver nitrate precipitation reaction. This electrode features a Clogging Prevention System (CPS) Technology that allows for a polyethylene sleeve to be moved in order to clean the ground glass surface that can become clogged by samples with a high solids content such as with food products. method of measuring sodium. This method assumes that all chloride is from sodium chloride. the corrosive effect on iron rebar that is used for support. problematic if left in solution for a long time due to the softening of the compressed sensing pellet. it ideal for high throughput sampling. Chloride titrations in food, wastewater, concrete and brine solutions. Related links to "HI5148B Silver Billet Combination Electrode for Halide Titrations"
Customer evaluation for "HI5148B Silver Billet Combination Electrode for Halide Titrations"